I forgive myself that I have accepted and allowed myself to not realize that in a World where Money Determines whether you Eat or Starve, to not Make Sure that Every Human Has Enough Money to Eat, Makes those opposed to a Basic Income Grant PART of the Creation of Starvation and Suffering. I forgive myself that I have accepted and allowed myself to not realize that in a World Where Goods are Made Cheaper Causing More and More Jobless, Cheap Goods are Worthless if you have Less People that can Buy it, because they have NO Income. I forgive myself that I have accepted and allowed myself to not realize that if Governments can afford to Bailout Banks, they can afford to Bailout People with a Basic Income. I forgive myself that I have accepted and allowed myself to not realize that a BasicIncome Grant will Be spent in the Local Economy, generating More Tax and Creating More Jobs. I forgive myself that I have accepted and allowed myself to not realize that One can ONLY RECEIVE what one is WILLING to Give and GIVING Each Human Enough Money to Live will Reduce Crime Exponentially, and PREVENT Starvation and Homelessness. I forgive myself that I have accepted and allowed myself to not realize that some of the Profits of Corporations and Elite Families can Feed Whole Populations, and that it is Bizarre that Such Opulence can be allowed in the Face of the Suffering of Many that CANNOT find Jobs due to the Constant DRIVE for Profit. I forgive myself that I have accepted and allowed myself to not realize that the Profit Motive DOES NOT support the Human Race, it only Supports Individual Greed. 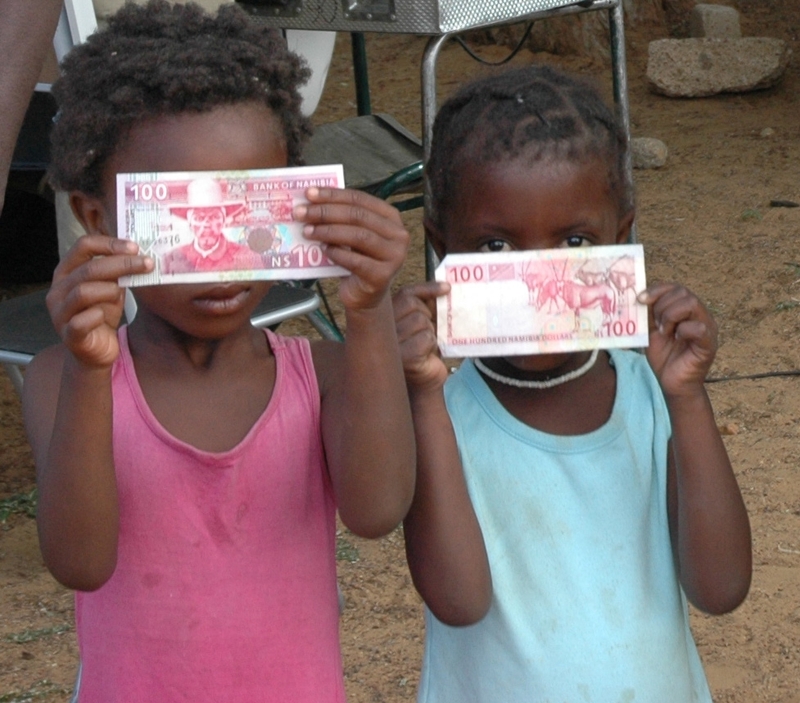 I forgive myself that I have accepted and allowed myself to not realize that in Poor Communities Like Namibia, where the Basic Income Grant was tested, the Benefits and Change in Social Behavior of the Poor was Astronomically Effective – that ALONE is Evidence that the Basic Income Grant should be the Central Economic Public Policy of ALL Countries that in ANY WAY have any Compassion left. I forgive myself that I have accepted and allowed myself to not realize that Economic Policies that allow Citizens to be WITHOUT shelter and Food, is Criminal Activity and ABUSE of Human Rights that Must be Addressed as a Matter of Urgency. I forgive myself that I have accepted and allowed myself to not realize that Any Religion that does NOT Give its Full Support to a Basic Income Grant for All, are Morally Corrupt. I forgive myself that I have accepted and allowed myself to not realize that Violence and Revolution can be Prevented in all Countries in the World with a Basic Income Grant. I forgive myself that I have accepted and allowed myself to not realize that Democracy is about ALL People having a DIRECT Vote and Input about Basic Human Rights and that the Protection of Profit is Not a Democratic Act and in fact a Crime Against Life. I commit myself to Insist and Promote the Common Sense Implementation of Basic Human Rights which, as foundation, is a Basic Income Grant. I commit myself to show that Joblessness Creates Fear and Suffering and is a Violation of Basic Human Rights and Any Economic Political System that allows such abuse is Tyrannical in Nature and is an Abuse of Human Rights. I commit myself to show that the means for a Basic Income Grant exist by OUTLAWING WAR and Spending on Any War Related Activity, as War is ALWAYS an Abuse of Human Rights and a Crime Against Life. I commit myself to show that Cheaper Products are Useless if People have no Money to Buy it. I commit myself to show that Compassion and Spiritual Integrity is to Give as One would Like to Receive – to Ensure a Life of Dignity WITHOUT FEAR. I commit myself to show that Profit is a Crime Against Life if it Causes Joblessness and Suffering. I commit myself to show that Profit is ALWAYS Greed when it Cause even One Human to Suffer Due to a Lack of Money. I commit myself to show that the Evidence of the Effectiveness of a Basic Income Grant is Proven and to Ignore the Evidence is a Deliberate Human Rights Violation. I commit myself to challenge Economists to Produce an Eco System that Supports all Humans and to Demystify the Mystery of the Market Forces of Profit and Loss that is the Smokescreen used to Promote the Greed of Profit. I commit myself to show that Any Economist that Justifies Starvation and Suffering is a Criminal that Abuses Life. I commit myself to challenge all Religious and Spiritual Movements to Investigate their Morality as to Why they DO NOT Stand up and End Suffering with an Economic System that will Feed the World. I commit myself to Lobby for the Outlawing of All Political Activity in the World that DOES NOT Ensure Basic Human Rights that Include the Right to Life For ALL in all Basic Requirements for a Life without Fear and Suffering. I commit myself to show that Economic War only Fills the Pockets of the Morally Corrupt and is a Violation against the Basic Right to Life of Every Human that was Freely Given Equally to Every Person Born on Earth. I commit myself to Lobby for Direct Democracy where Every Voter Votes on Every Policy with full understanding of the Impact and Consequence – and that if ANY Law Causes Suffering, Homelessness, or Starvation, it is NOT a Law that should be even put up for Voting as it is Criminal Neglect of Life.